Real Madrid superstar Cristiano Ronaldo has won the most prestigious individual prize in football for a second year in a row. The Portugese International picked up the Ballon d'Or for a stellar 2014 in club football, presented in Zurich, Switzerland. He beat World Cup winning goal-keeper Manuel Neuer and multiple former-winner Lionel Messi for the award. Ronald took 37.66% of the vote, Messi received 15.76% while Neuerhad 15.72%. Emerging as the favourite in the run-up to the announcement, Cristiano Ronaldo scored 52 goals in 43 games, while also creating 17 assists as Los Blancos ran riot. CR7's biggest club honour came in the capital of his home nation, where he scored the fourth and final goal in the Champions League final to capture La Decima. A searing force behind Ancelotti's unstoppable side, who ended the year on a 20+ game winning streak, it's a well-deserved honour for Cristiano Ronaldo. Earlier in the ceremony, he was part of the FIFPro World XI of the year. Joachim Low took home the Men's Coach of the Year award after he guided Germany to a huge World Cup triumph in Brazil. What a year for Cristiano Ronaldo. It's an accolade that cements him as an unstoppable force. Goal after goal, Ronaldo made his World Cup shortfalls an extreme after thought with consistent class and proving himself as a great. It, in hindsight, would always be him. There simply was no one better. 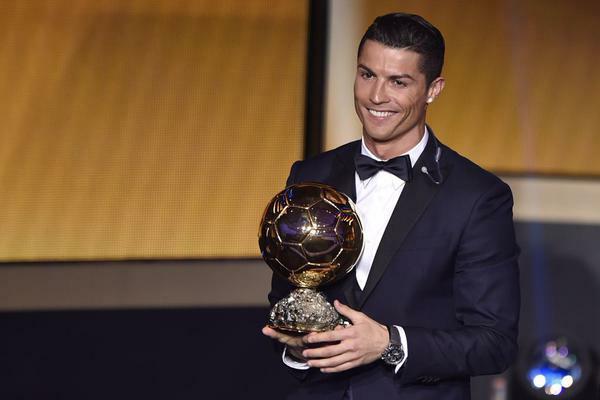 Cristiano Ronaldo wins the 2014 Ballon d'Or.